The superior mesenteric artery (SMA) is a direct branch off of the aorta. 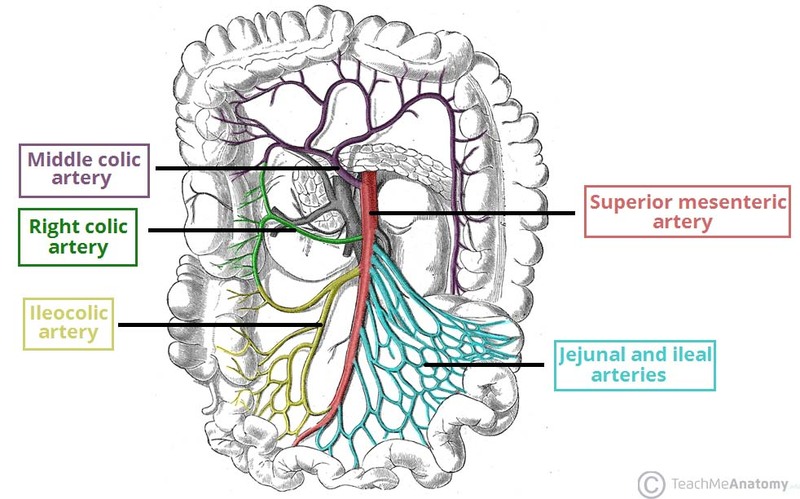 The SMA is responsible for perfusing much of the large intestine as well as the jejunum and ileum. Atherosclerosis of the SMA can occur. Pain after eating can occur due to improper perfusion of the bowel (post-pradinal angina). This can lead to weight loss in patients. Bloody diarrhea can be caused by this disease process.